Fundamentalist Christians are often “young earthers” who believe the Bible is literally true often think the earth and human history is only 6,000 to 10,000 years old–you get this by counting enumerated generations in the bible back to Adam and Eve. This leads to ridiculous theories about dinosaurs living contemporaneously with man, skepticism of carbon-dating techniques, etc. Well now there’s yet another in a long line of reports that the remains of Noah’s Ark has finally been found. Support for the claims? “They claim carbon dating proves the relics are 4,800 years old — around the same time the ark was said to be afloat.” Uh oh! What’s a fundamentalist to do? Reject carbon dating, or accept it? That’s easy, they’ll do the same as any politician: agree with the evidence when it supports their views, and disagree when it does not! Actually (most) young earthers are only sceptical about carbon dating before the flood. They believe that the firmament shielded the Earth from cosmic rays up until then and then collapsed causing the flood. From then on the Earth has been exposed to cosmic rays and from then on you can do carbon dating. I like terrymac’s answer better than mine, though. A quick search found http://www.christiananswers.net/q-aig/aig-c007.html – I’m not saying that you should absolutely accept what they’re saying, but assuming that your opposition is ignorant about something this important is quite idiotic. Should we discuss junk DNA and the uselessness of the appendix next? I thought most paleontologists used K-Ar dating? Marcel I disagree. I think atheists tire of looking into Christian answers on issues like carbon dating and evolution because they are so consistently off base. It’s kind of like a wife who’s found her husband cheating for the 15th time. At a certain point you lose in interest in hearing “the other side” of the story. Evolutionism is evolving, to meet new facts, finding new explanatory theories to explain evidence of geology and biology etc. Creationism may cook up new explanations, but the basic idea is still based on Bronze Age texts. We wouldn’t be having the conversations were it not for those texts, no matter how weird those texts may be. Intelligent Design, on the other hand, is a way of keeping the necessity for a deity taken from those texts, but allowing for the fact that those texts have nothing to do with geological history. The Flood Theory is a geological farce, and its current defenders amongst Creationists embarrass most decent IDers, though, understandably, you will not find many ID spokespeople to admit this, or talk about it in public. 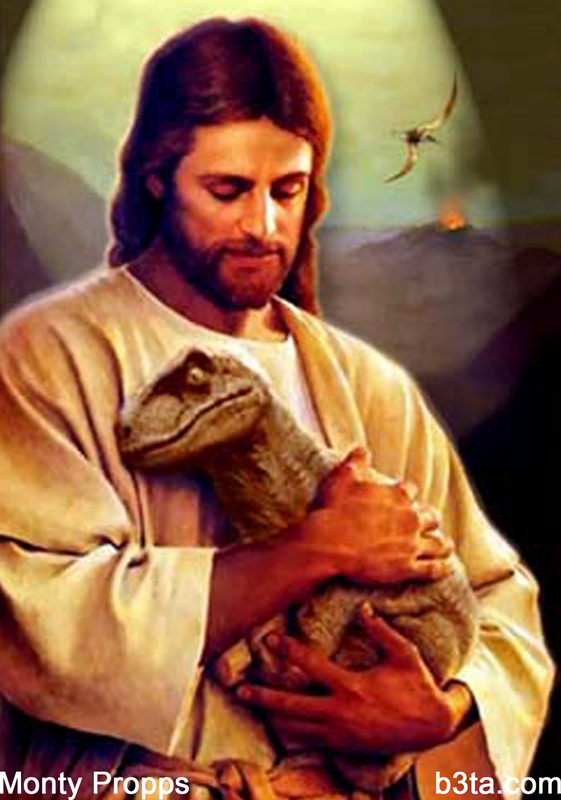 Of course, some IDers – especially amongst the more actively religious class – are merely sub rosa Creationists. It’s all very ugly and embarrassing from an intellectual point of view. However, my understanding of the Creationist critique of carbon dating does not discount post-diluvian uses of Carbon-14 decay. Carbon-14 measurements require a constant equilibrium between this isotope and other carbon isotopes. 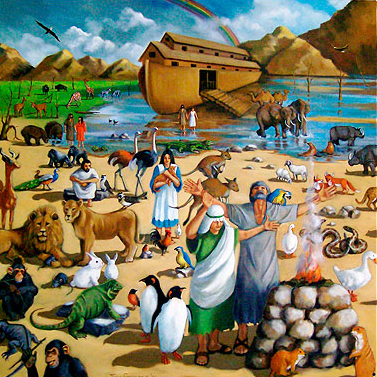 Creationists argue that C14 established its present-day equilibrium after The Flood. Anything BEFORE The Flood is wrongly assumed to fit the post-diluvian equilibrium, so (according to this explanation) fails as a dating technique. The constant is not a constant. So it makes sense for Creationists to use radioactive isotope dating techniques for artifacts coming from after The Flood. Why C14 dating so reasonably interprets strata after strata of layered Earth, while The Flood cannot account for the vast numbers of strata with their divergent life, makes the whole explanation seemed cooked-up, to me. But then, I’m not beholden to a Bronze Age text. I really don’t want to hijack Stephen’s blog. I’m just going to say that, if we replace text with theory (which is more accurate for creationists, in any case), then the above statement becomes falsified. The idea of evolutionism is dated from at least ancient Greece. Sure, evolution has been trotted out every now and then to creationist ideas. But the reason to believe evolution occurred has nothing to do with the origin of the idea, the reason has to do with the nature of the evidence. The evidence is in geological strata, the geographical placement of species, and in our increasing understanding of the genetic code and epigenetics, etc. The reason I believed, once, in Creationism, and the reason most of my family today believes in Creationism has EVERYTHING to do with a certain anthology dating back through the Iron Age back into the Brzone. This is no different than what evolutionists must grapple with… They accept carbon dating (or any radiometric dating) when it fits with their evolutionary ideas and reject it when it doesn’t – there are scores of examples of this, and any evolutionist who denies this is being dishonest. Bad Behavior has blocked 5213 access attempts in the last 7 days.